⭐⭐⭐ Old Town Suite • Priv. Terrace • Main Sq. 3 min. • Wawel Castle 5 min. Property 55: ⭐⭐⭐ Old Town Suite • Priv. Terrace • Main Sq. 3 min. • Wawel Castle 5 min. BRAND NEW ! Lovely Apartment in the heart of OLD TOWN KING SIZE BED Street View! Property 68: BRAND NEW ! Lovely Apartment in the heart of OLD TOWN KING SIZE BED Street View! 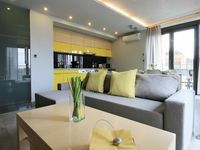 Property 73: Studio Ekstaza It consists of 1 bedroom with open kitchen. Beautiful studio apartment located in the heart of the city! Property 74: Beautiful studio apartment located in the heart of the city! Apartament Kazimierz - 400m to Market Square ! Property 82: Apartament Kazimierz - 400m to Market Square ! Best place to Be. Old town 15. Property 85: Best place to Be. Old town 15. Property 86: Riverside! For 2 :) Kazimierz & Schindler Factory! 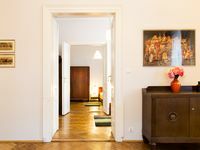 Luna apartment in Stare Miasto with WiFi. Property 87: Luna apartment in Stare Miasto with WiFi. Property 95: Apartment Wawel - 4 minutes from Market square !!! Great location in Krakow in Modern apt. The booking process was smooth and Beata was very responsive and helpful. We had no problems. The apartment is big allowing for privacy. The apartment is not luxurious but things worked, beds were comfortable so we were happy. It is also relatively close to the square (~15 min walk). The street was quiet and felt safe. A few things that would make it a little better is to have some shampoo in bathrooms (any kind is better than none), also we got only one bath towel per person and one wash cloth for the entire stay. It would be nice to have a few extra clean towels.